Just after midnight, people reported hearing a loud bang, followed by people calling for help from the basin. 2 people Swam to shore, and Landed near Clearwater seafoods, 3 others were removed from the boat by a Coast Guard inshore rescue craft. GO #13-142990 – Boat Accident – At 12:04 a.m., police received several calls of a boating accident in the Bedford Basin. The callers stated they heard a loud collision of some kind on the water followed shortly thereafter by several people yelling for help. HRM Fire and Emergency, EHS and police attended the scene and located the accident site a few hundred meters off shore, in line with the 600 block of the Bedford Highway. Police were able to communicate with the people aboard the boat by yelling across the water and learned that two women and one man remained aboard the vessel, while two men were in the water swimming to shore. HRM Fire and Emergency and the Coast Guard dispatched rescue craft to the scene. The two men in the water eventually swam to shore utilizing floatation devices and were treated by EHS at the scene and then transported to the QEII. The people on board the boat were picked up by the Coast Guard, taken to the Bedford Institute of Oceanography (BIO) wharf where they were treated by EHS and then transferred to the QEII. 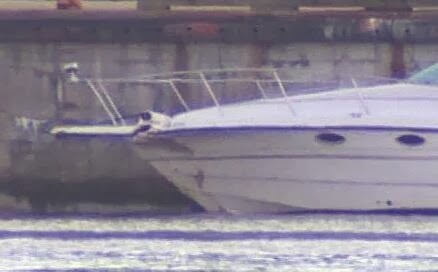 The vessel, a 31 foot fibreglass boat, appeared to have struck a large buoy in the water. It was towed from the scene and is now moored at the BIO wharf. A women was treated and released from hospital, the other three men and a woman remain in hospital at this time for observation and treatment of more serious but non-life threatening injuries. This entry was posted in oops on September 30, 2013 by Peter Ziobrowski.